J.L. 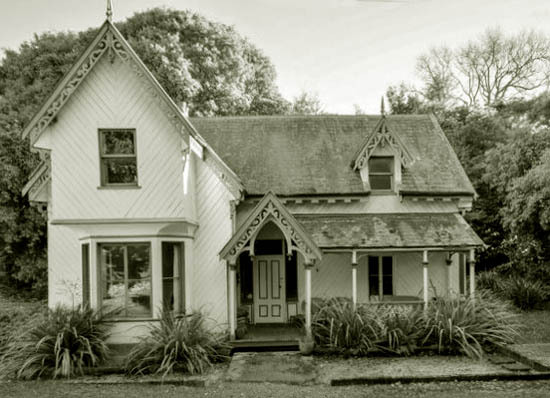 Shaw has something of a one-hit-wonder status in Dunedin, where he is almost only known as the architect of the much admired house at 521 George Street. He is better known in Victoria, Australia, for his earlier work there, but his New Zealand career deserves more exploration and recognition than it’s had. Joseph Lowe Shaw was born in Dublin, Ireland, in 1820 or 1821, the son of Mary Ann Shaw, née Lowe, and John Shaw, who was a doctor. His two older brothers, William and Forster Shaw, were also doctors, and they migrated to Victoria in the 1840s. I haven’t found details of Joseph’s education or early career in Ireland but he was about 30 years old when he arrived in Melbourne aboard the Asia in 1850. He settled at Geelong, where for two years he worked in partnership with H.M. Garrard as a surveyor, engineer, and architect. The two men were responsible for many early survey maps. In 1851 Shaw married Euphemia Jane Clibborn. She died in 1860 and the following year Shaw married Juliet Georgiana Wherland. The couple had a son, Francis. From 1856 to 1857 Shaw worked in partnership with R.A. Dowden in the architectural firm Shaw and Dowden. 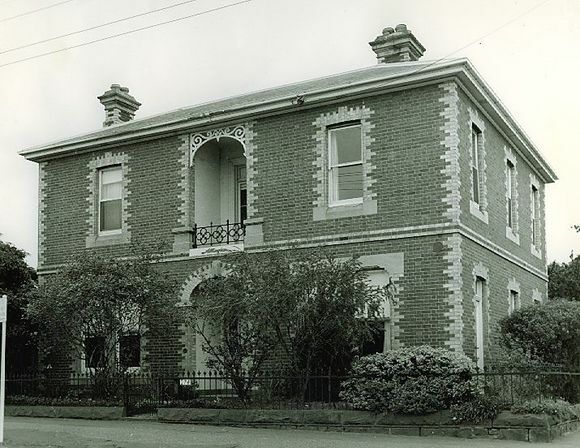 The pair’s work in Geelong included the Colonial Bank, St Augustine’s Orphanage, and additions to James Simson’s residence Eumeralla. They were also responsible for the Woolbrook homestead at Teesdale. 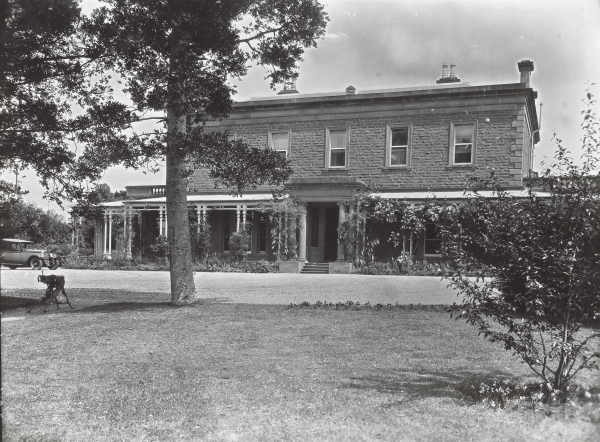 In 1859 Shaw designed Morongo, a grand bluestone homestead, for John Calvert. For his own brother William he designed Allington, a two-storyed residence in Newtown noted for its striking polychromatic brickwork. 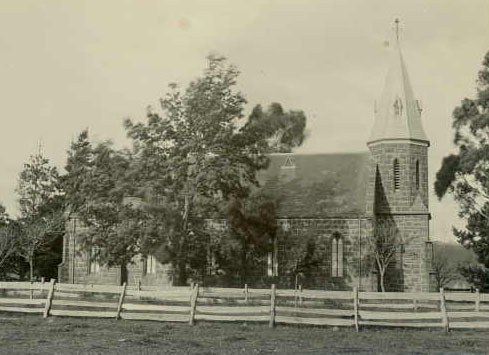 Churches by Shaw included St Peter’s Anglican Church at Geelong, and Presbyterian churches at Batesford, Shelford, Inverleigh, and Darlington. Shaw came to suffer from a lack of patronage, and from personal problems that were said to have included alcoholism. 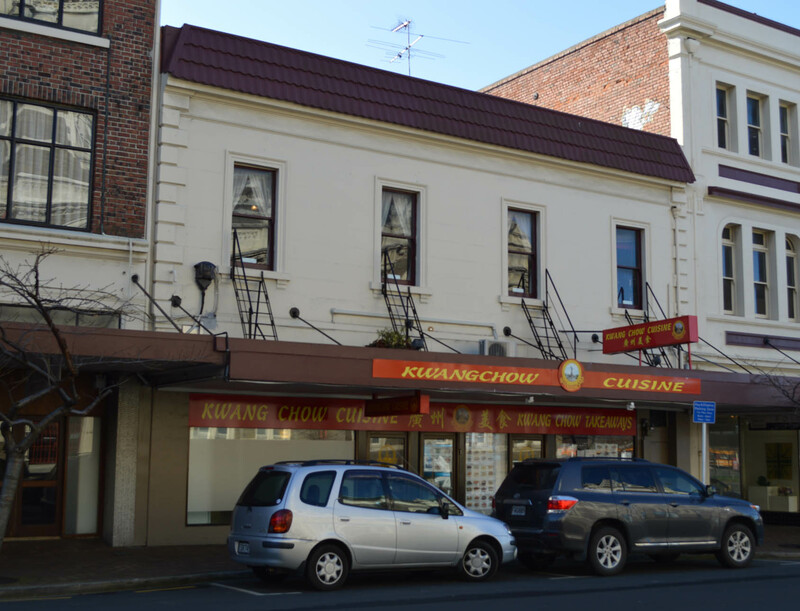 Perhaps for a fresh start he moved with his family to Dunedin in 1876, where one of his first architectural works was the Supreme Court Hotel, now the Kwangchow Cuisine restaurant, in Stuart Street. He was the architect of the extensive rebuilding of Chingford, then P.C. 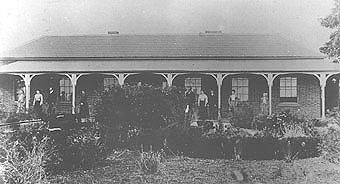 Neill’s house, in 1877. 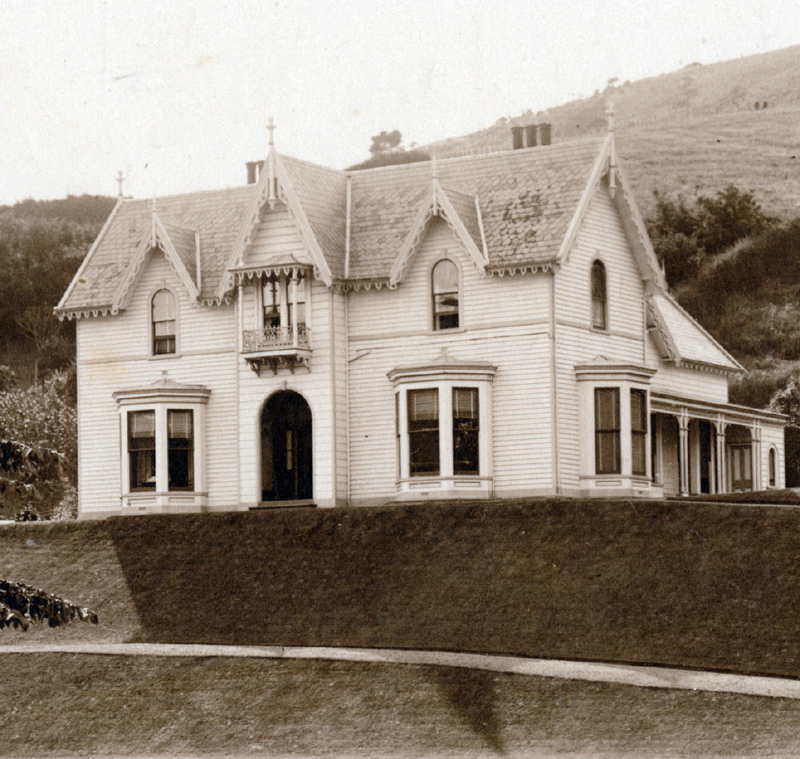 This house was demolished in 1968 and only the stables, designed by Mason and Wales in 1880, survive. In 1878 Shaw designed Edward Hulme Hart’s residence in Wardlaw Street, a timber house with distinctive fretted bargeboards, steeply gabled bay, and other features in the style of the Chingford additions. It has been described as ‘Carpenter’s Gothic’. 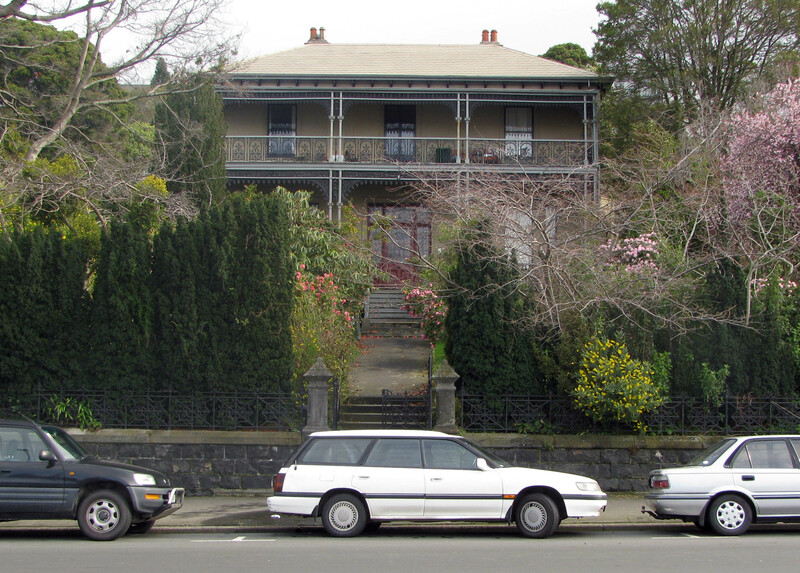 Other houses by Shaw included the house in George Street built for Robert Wilson, which has distinctive balconies that have more in common with Australian than New Zealand models (although interestingly a house at 111 Highgate is in a similar style). Shaw also designed a homestead for J.M. Ritchie at Cannington Station, and Robert Chapman’s large wooden house in Maori Hill. Chingford, North East Valley (with kind permission of macadee on flickr). All that’s seen here except the portion at the right rear of the picture were Shaw’s additions. 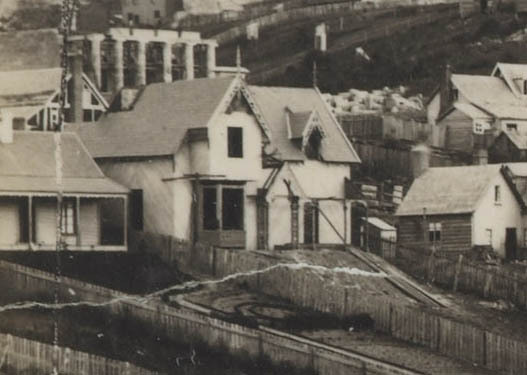 Shaw was the architect of buildings for Donaghy’s rope and twine factory in South Dunedin, including the original rope walk of 1878. He also designed the National Hotel in Great King Street and the National Bank at Tapanui. He was architect to the Benevolent Institution, for which his designs included the Old Men’s Home, Secretary’s residence, and additions. 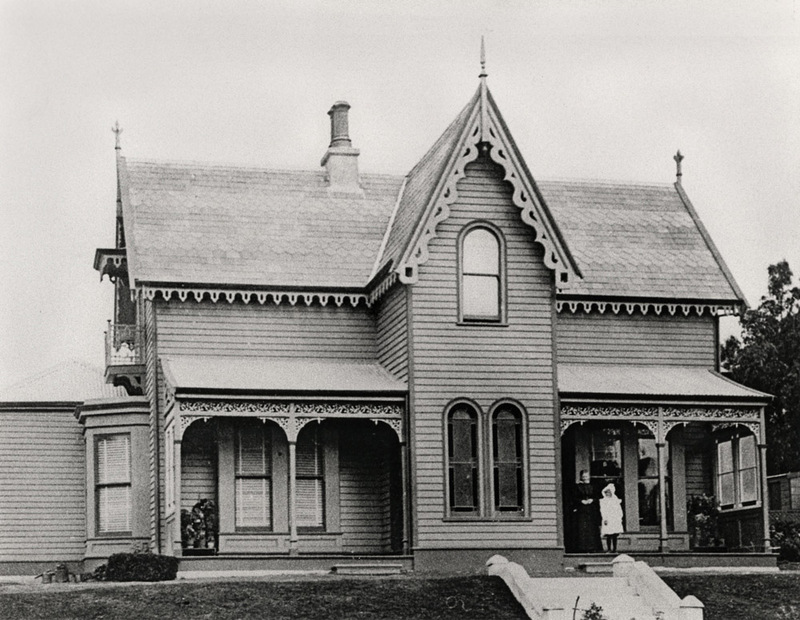 Juliet Shaw was treasurer to the committee of the Female Refuge, and in 1888 additions to the refuge in Forth Street were built to Shaw’s design. An Anglican, Shaw had been a trustee of St Paul’s Church in Geelong, and served in the Diocesan Synod in Dunedin. His works associated with the Church included schoolhouses for St John’s and St Matthew’s churches and the supervision of the removal of the old St Peter’s church building at Caversham and its re-erection as St Mary’s, Mornington, in 1883. Shaw served as Chairman of the Maori Hill Licensing Committee, and as a Maori Hill Borough councillor. His later works included the wooden council chambers built in 1894. 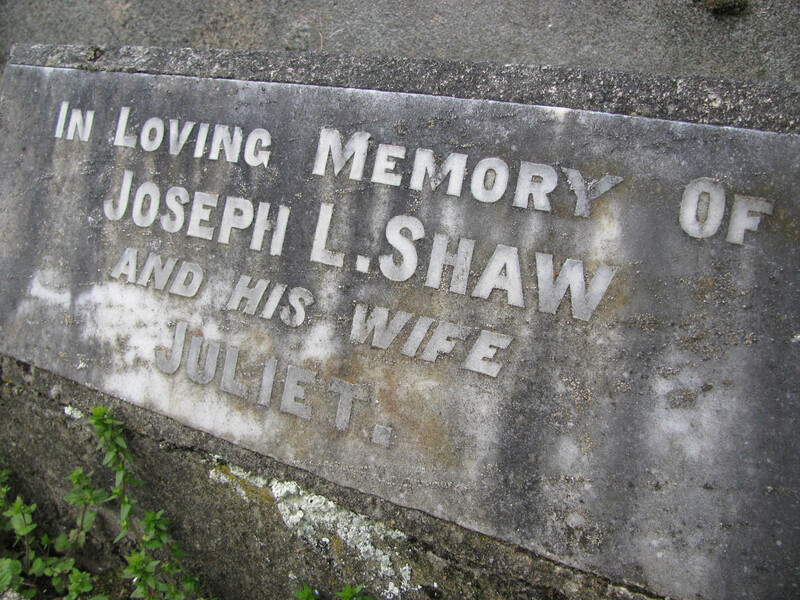 Joseph Lowe Shaw died at his home, Como, in Drivers Road, Maori Hill, on 23 September 1906, at the age of 85. He was survived by his wife and his son. Shaw’s remains are buried at the Northern Cemetery along with those of Juliet Shaw, who died in 1920. Former Supreme Court Hotel, Stuart Street. In recent decades it has sported a funny-looking hat. Image credits: State Library of Victoria, b51531 (Morongo), pi002931 (Leigh Presbyterian Church), Heritage Victoria B3625 (Allington); Hocken Collections S12-614b (Hart residence), macadee on flickr (Chingford). Thanks to commenter Paula Grima for the image of Derry Hall. Newspaper references: The Colonist (Sydney) 1 Jul 1840 p.2 (Forster Shaw), Geelong Advertiser 14 Jul 1851 p.2 (marriage notice), Argus (Melbourne), 29 Mar 1850 p.3 (arrival on ‘Asia’); Otago Daily Times 31 Mar 1877 p.1 (Supreme Court hotel), 12 Jun 1877 p.4 (Chingford), 17 May 1878 p.3 (Hart residence), 22 Feb 1878 p.3 (Donaghy’s rope walk), 21 Mar 1878 p.3 (Donaghy’s machine house); 25 Mar 1881 p.4 (Wilson residence), 7 Sep 1882 p.3 (National Hotel), 7 Aug 1883 p.4 (St John’s school house), 26 May 1884 p.1 (Cannington Station), 9 February 1885 p.1 (old men’s home), 1 Aug 1885 p.4 (St Matthew’s school house), 4 Sep 1885 p.2 (Benevolent Institution – Secretary’s residence), 13 Dec 1886, 3 (Chapman residence); 23 May 1887 p.3 (Benevolent Institution), 6 Dec 1887 p.3 (National Bank, Tapanui), 23 Feb 1894 p.3 (Maori Hill Borough Council); Otago Witness 26 Sep 1906 p.46 (death). Other references: Lorraine Huddle, ‘Architects in Geelong in the 1840s and 1850s’ (research report, University of Melbourne, 1979); Lorraine Huddle, ‘Architects of Early Geelong – 4’ in The Investigator vol. 18 no. 1 (1983), Hardwicke Knight, Church Building in Otago (1993) p.54; Victorian death registration for Euphemia Jane Shaw, 1860; Victorian marriage registration for Juliet Georgiana Wherland and Joseph Lowe Shaw, 1861; New Zealand death registration for Joseph Lowe Shaw (1906/7149); New Zealand death registration for Joseph Lowe Shaw (1906/7149); Will and probate file for Juliet Georgiana Shaw (Archives New Zealand DAAC.9005.D249.398/8494); Dunedin City Council Cemeteries Database; Victorian Heritage Database; E-mail, 20 January 2011, from Allan Willingham to David Murray. Expanded and updated from a piece published in the ‘Stories in Stone’ column in the Otago Daily Times in 2010. 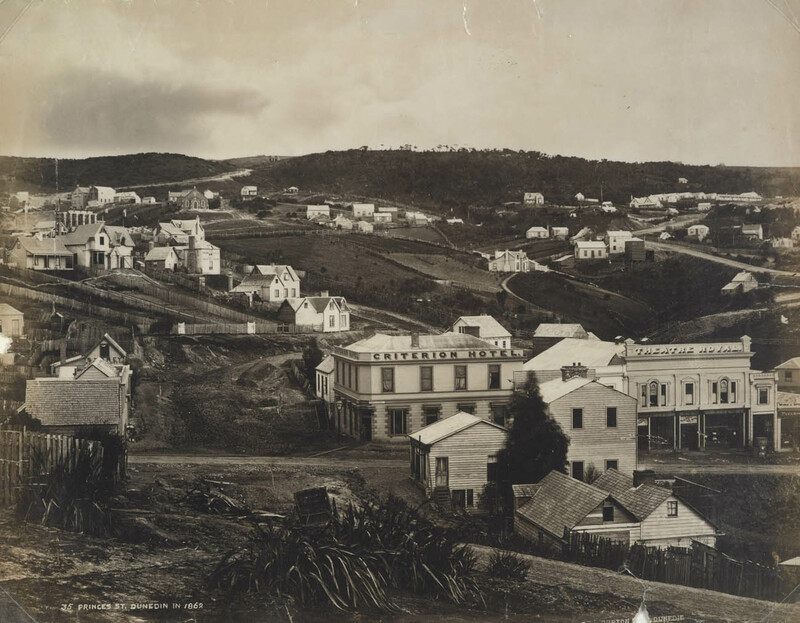 This entry was posted in Architects and tagged 1850s, 1860s, 1870s, 1880s, 1890s, Anglican Church, Australia, Benevolent Institution, Churches, Forbury, Geelong, Houses, Industrial buildings, Joseph L. Shaw, Lost Dunedin, Maori Hill, Musselburgh, R.A. Dowden, Victorian on 19 August 2012 by David Murray.